The search for expanded states of consciousness is part of the human experience. 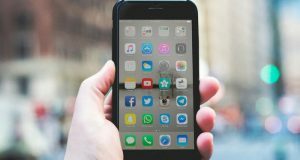 With technology developing at a breakneck pace, people are increasingly interested in how to best “hack” their daily life for enhanced productivity, emotional satisfaction, and even physical well being. 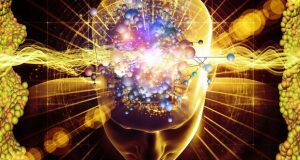 Transhumanism, or the belief that humans can use technology to evolve past their current limited physical and mental experience of life, presents an interesting question on the subject of consciousness: can technology lead us to higher states of consciousness, or is it just the opposite — a weight dragging us back into the heaviness of the material world? Proponents of transhumanism say that humans are clearly still in the early stages of our evolution, and the next logical step forward includes using all available technologies to evolve (humans in transition or transhumanism). There’s even the potential for us to become human beings that are so radically different from ordinary folk as to deserve the title “post humans”. This idea of human transformation is not new — there are traditions stretching back centuries dealing with how to reach the heightened state of consciousness known as enlightenment, how to attain eternal life, and how to live a transcendent existence. So how does one transcend the pain, problems, and general clunkiness of ordinary life in the physical world? Technology offers undeniable help in day-to-day functioning, but is it enough to actually transform the human race? Modern biohackers, also known as “grinders”, like Amal Graafstra, have found ways to develop what you might call extrasensory perceptions, akin to a sixth sense. This isn’t something like intuition or clairvoyance however; these sixth senses require implants to extend the capabilities of the human body. Whether using RFID technology to open doors, unlock a laptop, or even perceive the location of true north, Graafstra believes that embeddable tech is the next step in human evolution. He even started his own company, Dangerous Things, which allows people to order DIY implants, ready for injection, so they can experiment with embeddable tech on themselves. Is the step from ordinary person to enhanced transhuman inevitable? We seem to be going in that direction, given some of the latest technological strides which blur the lines between humans and machines. Brain implants already exist to help patients with Parkinson’s disease control body tremors and patients with epilepsy monitor seizure activity. But what if a brain implant could enhance your current physical capabilities, rather than mitigate a health issue? 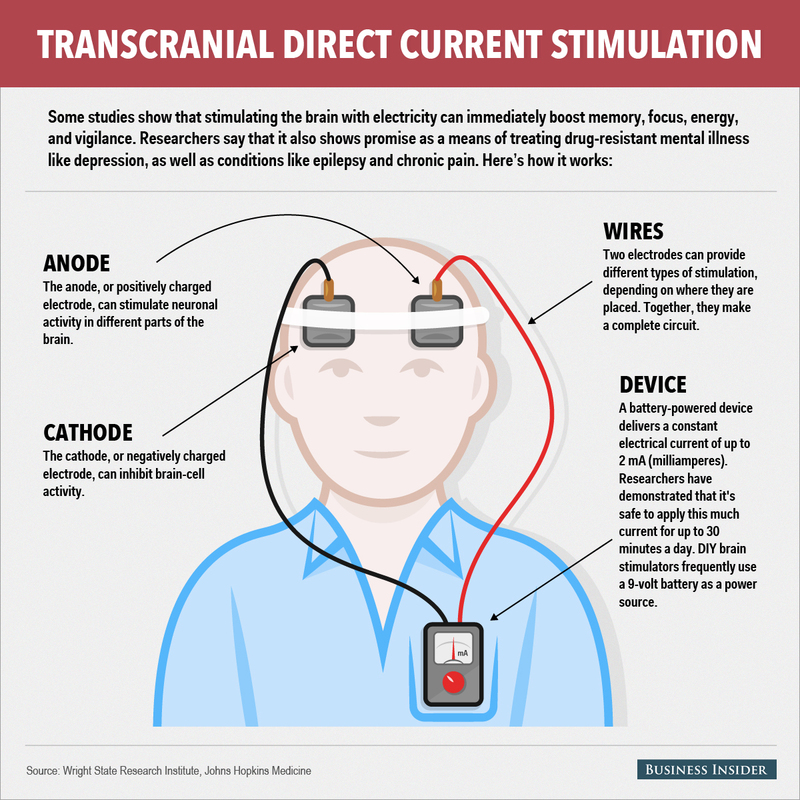 A treatment called TDCS (Transcranial Direct Current Stimulation) involves strapping electrical nodes to your head and receiving a small zap of electricity to the brain. The outcome? Proponents cite memory stimulation, reduction of anxiety and brain fogginess, and enhanced ability to solve problems. There’s also a recent University of Barcelona study delving into a sort of telepathic email transmission. Researchers have successfully sent brain-to-brain (B2B) thought transmissions between human subjects in India, Spain and France. 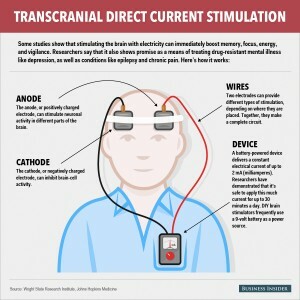 By strapping on electroencephalography (EEG) headsets which detected the brainwaves from the transmitter, the thoughts were able to be received via the internet to the headset of the receiver, and then electrically transmitted directly to the receiver’s brain. The company MicroCHIPS is developing a contraceptive microchip that can be implanted under the skin. This cutting-edge device is capable of storing 16 years worth of birth control which is dispensed daily in a woman’s body, and is capable of being turned “on” and “off” remotely, depending on whether she wishes to conceive. Proponents cite convenience in family planning, not having to remember to take a pill, and not needing to have the device removed for 16 years, unlike other forms of contraception currently in the market which last for only 5 years. Football fans can now track all the game day movements of their favourite players. The NFL, in conjunction with Zebra Technologies, is rolling out real-time location systems (RTLS) in 17 stadiums this year. This will allow RFID chips placed in player’s shoulder pads to transmit an unprecedented level of real-time data about their speed, acceleration, and distance run. One has to wonder if it’s only a matter of time before the RFID chips make their way from player’s uniforms into their bodies. Is Tech Shrinking or Expanding our Consciousness? Wearable or implantable tech and transhumanism are quite loaded subjects and raise many ethical questions, along with valid concerns about privacy and safety (hackers tampering with other’s embedded medical devices comes to mind). While being able to unlock doors with the wave of your hand or swallow a pill full of medical nanobots may sound attractive to some, it’s worth considering whether these technologies are giving us more freedom, or less. A key tenet of transhumanist philosophy is the ability to transform our normal, mundane human experience into an enhanced, even radically different way of life. The goal is to be transformed through the use of technology — biohacking your way to a new you, as it were. Could humanity be searching for transformed existence in an erroneous way? There are no guarantees that completely revamping your material existence will bring lasting happiness for example, and some people display sixth-sense type heightened abilities like clairvoyance or clairaudience without the use of tech implants. Anecdotal evidence of precognition, telepathy, intuition, and out-of-body experiences suggests that human consciousness is capable of experiencing a much deeper level of life than what is commonly accepted as normal. Through spiritual practice our consciousness is capable of growing and gaining knowledge of a finer type than the best technologies can offer. For instance, if we want to feel energised and mentally clear without the need for a battery and electrical nodes we could implement the ancient practice of awareness of the present moment in daily life. Or for those who want to really push the limits of human existence and safely explore what happens after death, astral projection is a viable option. 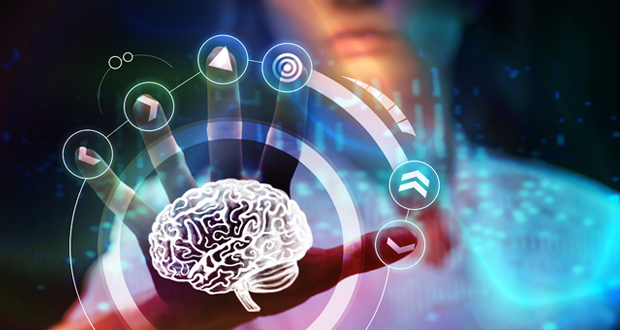 While there isn’t an exact point-for-point correlation between the claimed enhancements biohacking offers and the potentials that exist by developing human consciousness spiritually, the premise is very similar: exalting the human condition and surpassing the limitations of the physical senses and body. With spiritual development however, there is no reliance on an additional chip, machine, or electrode to reach profound knowledge and heightened states of being, because consciousness is not bound by the limits of the physical body. As an added bonus, unlike modern technology, no one can remove or steal the knowledge we gain from awakening, and we’re even in a much better position to recognize and deal with those who would try to manipulate us physically or mentally when we have expanded consciousness. The body is impermanent and will eventually die, but consciousness continues after death. This is explained in many spiritual traditions and revealed in phenomena like Near-Death Experiences (NDEs). The level of consciousness we attain in life through spiritual awakening continues when our body is no more, as consciousness itself evolves through awakening, not the body – which is just a temporary vehicle for it. 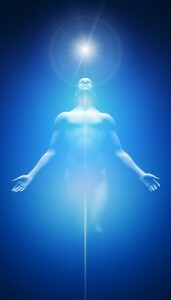 While spiritual awakening sets consciousness free from the limitations of the body and the five senses, depending on a body integrated with technology for evolution and heightened perception only serves to further bind our existence and perception to the the transient material realm, which is only a small part of our existence, and has a definitive end. Furthermore, altering the body with technology could interfere with our natural capacity to use our time in the physical world to awaken consciousness. In much the same way as our hyper-connectedness can hinder spiritual development, over-reliance on technology has the potential to keep our consciousness firmly bound to the material world, only capable of interpreting information gleaned from the five senses. This is not to say technology in itself is bad, or that we should stop our pursuit of future technologies. It would just be a shame to confuse biohacking with the opportunity to truly evolve through awakening consciousness. The generation of children growing up right now immersed in technology, not knowing anything else, could easily think the only way to experience an enhanced life is through physically augmenting oneself. But non-physical spiritual evolution, through direct contact and knowledge of the divine, will trump material progress every time. Well you are entitled to your opinion. But transhumanism/biohacking is a left hand path pursuit. Now when we speak of the left hand path, the first thought that comes to mind are words like “evil, devil worship,” etc etc. Highly relative terms. Everyone has their different ways of approaching spirituality. Lhp is all about bettering oneself and showing compassion only to those we believe to deserve it. Some might find that egotistical but at least in my mind, it is honest. Dara, I am on a spiritual path . . . as a slow evolutionary, if you will. I see that transhumanist thought is pervasive amongst much of the younger generation. I am a practitioner of spiritual modalities (Tai chi, yoga, meditation). I find that many people finds these practices boring, uninteresting, mundane. They do jot want to spend time time connecting with their inner universe so that they can more easily align with the cosmos. The lure of transhumanism promises a leap beyond what is considered human. However, IMO, it can never fully replace the cosmic alignment that humans, once fully awakened, can achieve with all of creation. Perhaps that is the goal. Perhaps that is the unconscious direction that humans are taking. By maintaining the disconnect between the human race and their organically cosmic origins, the posibility of a truly interconnect, global awakening may never occur. These are just my ramblings . . . . . Thank you Dara for looking into this tricky and mostly hidden issue; I had no idea how much things have already progressed in this arena! I think all this stems from the fact that most people don’t think of their life as something that continues beyond death. If they did, then naturally, they would be interested in developing that part that continues after death and is reborn again (consciousness). Then they would be able to see that all that this technology is doing is just improving their “coat” (physical body) which they will discard at death anyway. What’s really dangerous here (what an appropriate name for that company by the way – “Dangerous Things”), is that just as you mentioned, all these implants prevent people from acquiring those faculties for real – through genuine spiritual development. What a terrible weapon of darkness! Great article. There is so much to this topic. If we put aside any suspicion of hackers or even suspicion of mass control, we can see how that outsourcing and/or relying on technology, artificial intelligence, things manufactured…a virtual pill, one one button solution, a payment swipe to release the burden of self involvement hinders those abilities outsourced. A small example is “spell check”, another, a calculator. What I see is that with each new thing we make convenient for ourselves, we escape its experience as well as its burden. Both experience and burden are valuable allies for us to gain knowledge and wisdom. without those we have a mass produced outcome of limited understanding, limited knowledge. I see children these days rolling their backpacks on wheels because they are “too heavy”. Some really are, and I do get that it can be cruel to make them lug so many books, but that was a muscle being exercised. I have fond memories fighting with my strength limits and my load of books. It build more than just getting your books to class or taking them home. There are many tools with great intentions in mind, many are valuable in saving time, sweat, blood, tears…are the blood, sweat and tears, that give us strength and help us exercise our divinely given gifts of experience, consciousness and those mentioned in the article such as ‘precognition, telepathy, intuition, and out-of-body experiences’, ‘the ancient practice of awareness of the present moment in daily life’, astral projection…dream work? Maybe there is an appropriate moment or application to sue with a tool, but reliance is a force to be cautioned about. It’s this reliance that strays us away from exercising our inter-dimensional muscles. 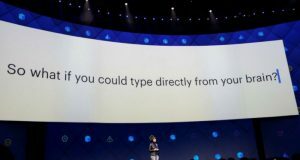 Is it the technology or is it us? The technology is a projection of a small percentage of us, but what about the rest of us? I was unaware that such technology existed, I personally would stay right away from it. Who really knows what evil may be behind such technology. I have found that changing who we are with the spiritual work is the only way forward to connect with the Divine and to really know the steps that you must make. I have a feeling those hopeful of such technology will get what they are seeking when the “mark of the beast” is revealed. It might be much more than a simple mark to buy and sell. It could be a genetic upgrade, and also linking the receiver to a global brain. Eternal life is spending eternity with Jesus Christ, enteral death is spending eternity without Jesus Christ. Repent, Get Saved, Get Raptured. Jesus Christ is waiting and watching. Needless to say, I find the concept horrifying. What’s wrong with developing good ol’ telepathy and communicating over distances with that? What’s wrong with developing clairvoyancy or intuition, so that you can communicate with a person in a compassionate and loving way? Laziness, impatience and disbelief that such things are possible are a major hindrance. What can you say about Shamans using psychedelics to “alter” their states of consciousness? Arent they relying on an external tool to (via chemicals ie. Psilosybe) to alter their mind states? I’m just curious. Altering the mind through artificial needs via drugs won’t bring out any lasting results. So if you’re after the once in a while weird experience, then why not? But using drugs does affect your brain’s chemicals and that can bring about many complications in itself (short-term to long-term). At the end of the day, we are free to make our choices but we can’t escape the consequences of those choices. Personally, I don’t see the point and don’t do that type of thing. Yes psychedelics are an external tool which alter your perception temporarily. The problem is that the effects don’t last, so you’re reliant on something outside yourself in order to gain that experience, along with the physical/ mental side effects that can happen with drug use. The good thing about using spiritual practice to awaken consciousness is that the effects can be lasting–ie. permanently awakening spiritual faculties like telepathy and intuition, or getting really good at astral projection so you can leave your body at will and explore higher dimensions. Then you don’t need any external tool at all. I totally agree with what you’re saying Geraldine and Dara. At present my nephew is in South America with a shaman using drugs to try and access spiritual knowledge. Although he wants to change into a better person, I’ve found that he’s only getting totally confused about spiritual matters. I really hope that he will come home without long term complications. Prior to his journey to South America I tried to explain that there are no short cuts. Drug free spiritual practices is the only way to change and understand the knowledge that you can receive. One or two experiences with psychedelics is useful for those who seek spiritual knowledge insofar as they leave the lasting certainty that this is not it, that there is much more to human cognition, to life experience. Clearly it won’t do to depend on the plant medicines or drugs for one’s spiritual life, but a lot of people can’t get there from here until they KNOW there’s a there to get to from here. So I always counsel to stop just as soon as you know you aren’t going to forget that this regular walking around consciousness isn’t the whole enchilada. You might mention that to your nephew. What an interesting development to tackle. Good work! It definitely seems to be more ‘hip’ these days to think of future humanity merged with technology in some crazy way like The Edge of Tomorrow movie might suggest. Around 2006 I volunteered for a study at McGill university in Canada which was based around TCDS treatment and it’s ability to stimulate and modify serotonin and dopamine levels in the brain. 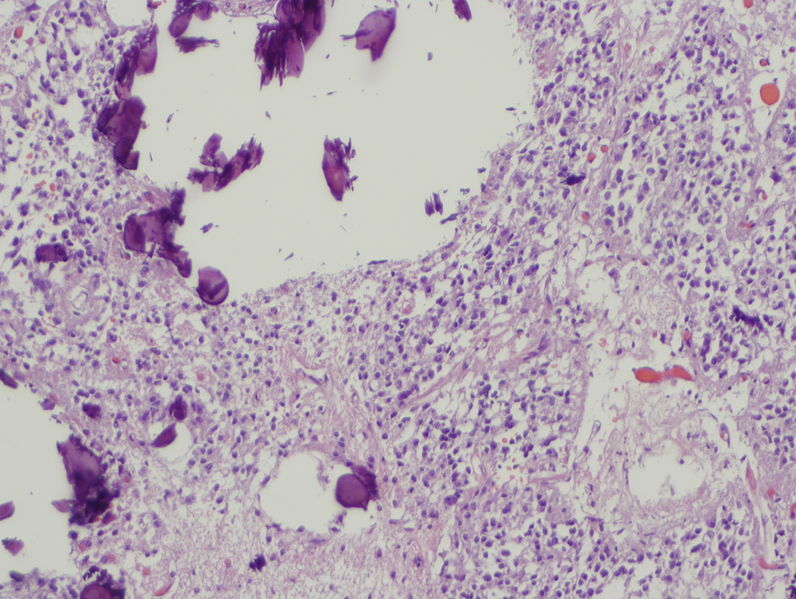 The study was hunting for potential cures for Parkinson’s disease and Schizophrenia. The two diseases being very similar in the neurological aspect that it is am imbalance of those two chemicals in the brain which causes both. I had family and friends affected by those diseases and I wanted to participate to see how I could help. Because there quite a lot of preparation, interviews and the treatment itself was painful, the study was eventually cancelled due to lack of participation (I was the only participant). These new ‘break throughs’ really need to be watched carefully by vigilant citizens and knowledgeable governments to make sure things don’t get out of hand. Another hypothetical that’s been posed with the microchip birth control is the possibility for “revenge pregnancy”–ie turning off or paying a hacker to turn off an ex partner’s birth control once they’ve moved onto a new relationship. The number of things that could go wrong with this technology, especially given the state of the world, seems quite large. Very interesting that you’ve come across the TCDS treatment before–I can see how people would be reluctant to participate if it was painful! It is also possible to prevent someone from ever bearing children and only allow those who the Government wants to bear children. I do believe that some of it stems from the fear of death: the need to become part machine to prolong life, or fix at all costs all health problems. But death is not something to fear, it is as much as part of life as birth. Everything has a beginning and an end. I think that if most people realized they could learn what death is about while being alive through Out-of-Body Experiences and using self-knowledge to change our actions / destiny and ultimately change the fate we all face at death, then this pursuit to prolong life or become super-humans via implants would not be there..
And it is two-fold, by not understanding what life’s real purpose is truly about then how an we understand what death is really about, as it is just the end of this life.. But we can learn and understand all this, which is what most people don’t realize or even know about. For example, we can learn from what people all around the world (believers, atheists, people from different ages) report experiencing from having a Near-Death Experience: the Life’s Review which brings about all our actions, how we treat other people, what we say, our lack of actions as well.. It’s never about being famous, being rich, but it always comes down to how we treat each other. And there is no need to have an NDE, we can also learn by having out-of-body experiences and realizing that we exist outside our physical body, which is usually a life-changing experience for most people. We have tools to delve into what list is really about, and it’s up to us to use these tools to learn and not fear life/death. But what you exposed also brought some difficult concepts that have been used in the past in horrible ways (extermination of mentally ill or disabled people); that of eugenics: a desire to control the population’s gene pool by stopping people’s ability to freely reproduce. The use of these birth control implants that can be monitored remotely, I find this so worrisome and such a scary idea.. What type of ethics is behind this? Why do people keep on searching for having less and less responsibilities and going back into just being a kid: being entertained all the time…!?! I don’t get this.. Is it just laziness? Is it just running away from a world which is becoming less and less human? How can running away from what we are fix the problem? Thank you Dara for such a wonderful expose.. This is again something that hopefully can go viral, it concerns us all, while we are still able to decide whether or not we want to have these type of implants be developed.. I can see fear of death playing a part in all this. To me it’s the apparent confusion that needs to be addressed–if people want to place microchips or other tech in their body as an upgrade, well, there is free will and it’s a personal decision for people to make. It would be sad for a person to make that decision however, without knowing about the even greater and lasting transformation they could attain through spiritual development. And yes, I agree that there’s a whole host of implications with regards to responsibility, what it means to be human, and the potential for abuse of this tech.